We’ve been creating a lot of graphics, and while we think our custom needlepoint designs are great, we also want to make them available for you to design your own needlepoint belts! 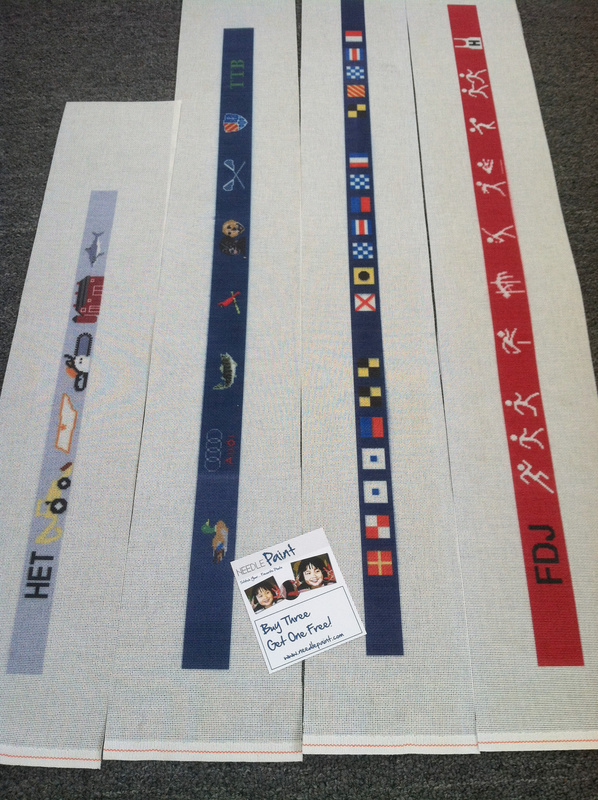 We love to design custom needlepoint belt canvases! This list is starting with over a hundred different graphics, but someday we hope to have thousands! Each file looks very small, but these are stitch counted designs, and they are maximum 22 stitches high. If you prefer to have us design the belt for you, you can order a Life’s Treasures needlepoint belt canvas in our shop. ***Some of these designs are copyright protected and cannot be used for resale. Black and white belted cows. How o where can I get this? How much is it for a needlepoint belt canvas of beagles. I would love a floridian flag pattern needlepoint belt. Hi Emily, I have emailed you cost and time info… Thanks! I am interested in a red drum fish canvas for a 36″ belt. Can I get a quote on this? Yes, I will email you a quote today. I would like to buy a belt canvas with the Providence College name and side view of the Friar (mascot) on it. Are you able to create this canvas? We’d love to help on this. I will email you pricing details today. Thanks for getting in touch! I would like to buy a belt a customized Bowdoin College belt. Am I able to get one customize with different logos and different building of the school? I was interested in getting a providence college belt canvas. Please let me know! Sorry for the delay! I somehow missed this. I’ll reply via email. I am looking for a needlepoint belt with the periodic symbols for my grandson. It would be squares with the letter of the element in the middle of the square and the number of the element in the upper left corner. Each element is colored according to its category. Thanks for any help you can offer.